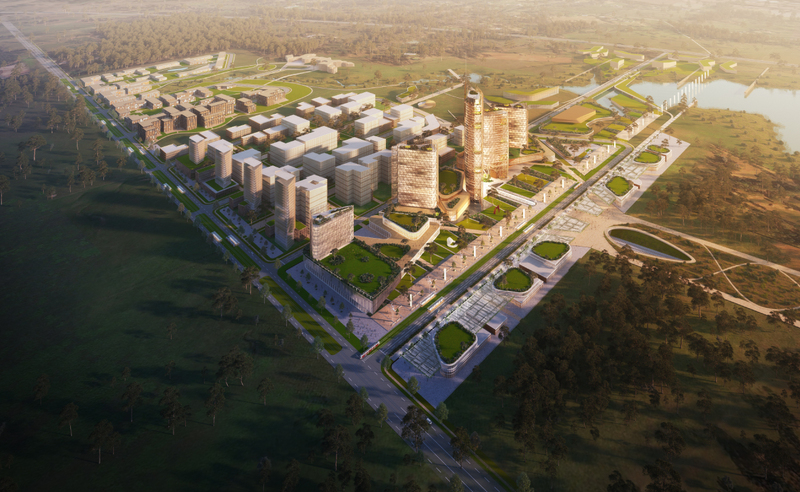 Two new international corporations will invest in Western Sydney's Aerotropolis precinct. Japan multinationals Mitsubishi Heavy Industries and Sumitomo Mitsui Financial Group have signed two seperate agreements to ensure a presence in the new airport city. NSW Premier Gladys Berejiklian, who said federal, state and local governments are working together to make the Aerotropolis the most advanced city on earth, welcomed the commitment. “It is so exciting that Mitsubishi Heavy Industries and the Sumitomo Mitsui Financial Group have decided to have such a large footprint in the Aerotropolis and we can’t wait to hear more about their plans,” Berejiklian said. Western Sydney Leadership chairman Christopher Brown said the commitment follows support from the national and international private sector for the major project. The precinct is expected to create up to 200,000 jobs. The latest investment agreements follow last month’s announcement for a university campus within Aerotropolis, featuring Western Sydney University, UNSW Sydney, University of Wollongong and University of Newcastle. Defence industry giants, the United States-based Northrup Gruman, have also committed $50 million for a centre within the site. The Western Sydney Aerotropolis is expected to be complete in 2026.